Two layers of black 1.5" dive webbing connected to an all steel, nickel plated buckle. Features oversized black-oxide coated metal inserts spaced at 1" increments for the 7" of adjustment. A true gun belt that doesn't scream tactical. Comes with a elastic keeper for the tail. Because of the stiffness of this belt the easiest way to tighten it is to push the buckle end and the tail end in opposite directions until you get to the desired hole and then pull the tail away from your body. 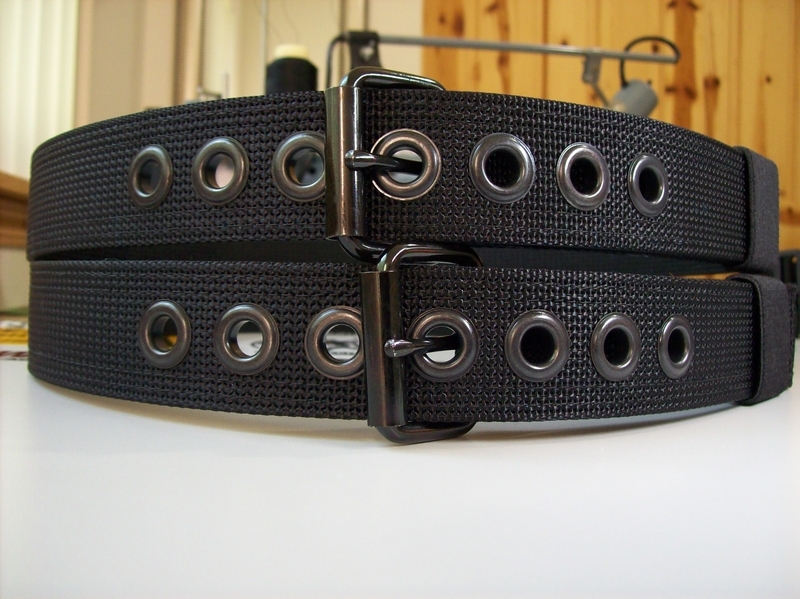 SIZING: Measure your belt from the front of the buckle to the hole you currently use and order accordingly.